The University of Southampton has been awarded $1.4 million (approximately ?833,260) to develop new treatments to fight tuberculosis. Tuberculosis is a bacterial infection spread through inhaling tiny droplets generated from the coughing of an infected person. It primarily affects the lungs and spreads from person to person by causing cavities within lung tissue. It is a serious condition but can be cured with proper treatment. In 2012, it claimed 1.3 million lives, the vast majority of them in low- and middle-income countries. 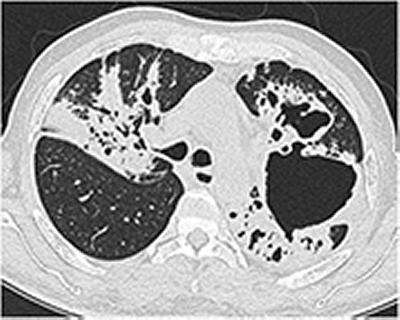 Patients with lung cavities are at much greater risk of developing drug-resistance disease, which is a worsening global phenomenon and has resulted in the emergence of untreatable totally drug-resistant strains. The University of Southampton Tuberculosis Research Group will use the funding from the US National Institutes of Health to develop new treatments to improve outcomes in patients with the disease. Researchers will investigate inhibition of the enzymes that cause lung cavities to reduce subsequent damage, thereby improving the body’s ability to control infection and prevent ongoing morbidity and mortality. The research continues an established collaboration between the University, Public Health England, Porton Down and Columbia University, New York.